We are delighted to announce that Clickspotters has been awarded the top level Google Premier Partner status! 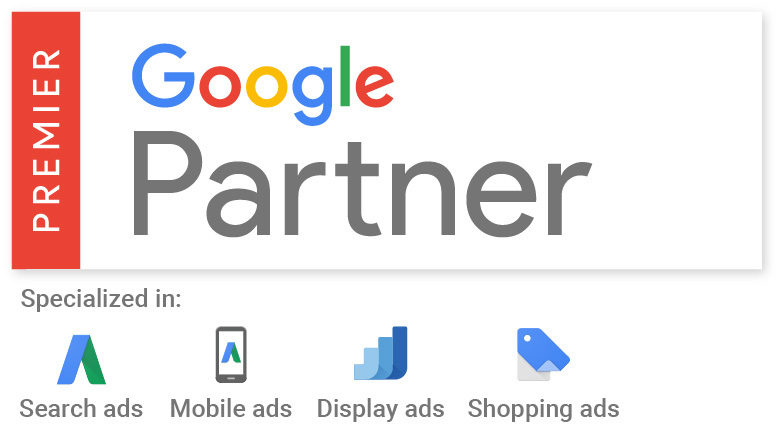 Google offers the Premier Partner badge to recognise leading companies that are higher spending and meet additional certification and performance requirements in AdWords. As well as the Premier Partner status, Clickspotters is recognised as displaying AdWords specialisms in Search, Shopping, Display and Mobile Advertising by Google. Why Is The Standard Of Google AdWords Management so poor? I’ve reviewed so many AdWords accounts for potential clients that I thought I’d pretty much seen it all. Then a couple of weeks ago a prospective client asked me to review their account. They were spending about £5k a month and so I expected to see some level of sophistication in the build. What I found was one campaign, with one AdGroup containing ONE keyword! It’s far more common than I’d like - to see poor quality accounts having been built or managed by other agencies. The most common issues being - AdGroups filled with hundreds of keywords of varying match types. No one tra..
It’s something that isn’t talked about very much in PPC circles. Possibly it is seen as some kind of dirty, grubby secret that is best forgotten? I’m not sure. Maybe it’s because it is essentially highlighting a weakness in the product we spend our lives promoting the strengths of. The majority of click fraud can be grouped as either comes from malicious clicking on Ads from competitors and bots to increase click budgets spent, or by advertisers looking to boost their click income on Ad Networks. Google take click fraud seriously and have their own series of algorithums running, an..